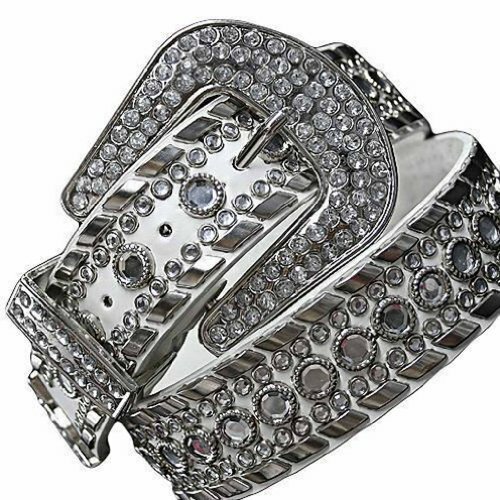 This belt is over the edge in glamorous. The big belt buckle is loaded with crystal rhinestones. This item is EXCLUSIVELY made and sold by Luxury Divas. Authentic only when purchased from Luxury Divas.